Yet another post about macarons, because they are awesome. Happens that when I was there, they were doing a collaboration with Tokidoki. 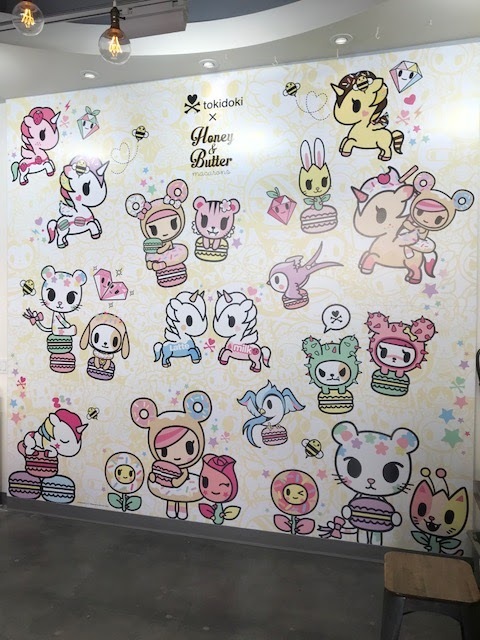 How cool that they have a super wall with Tokidoki characters? 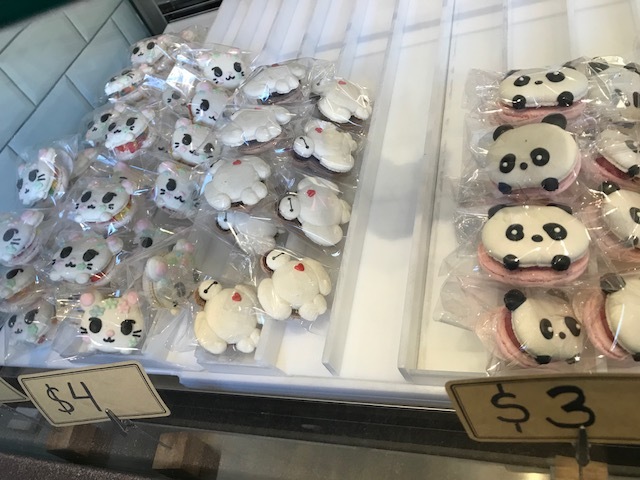 They're known for characters macarons. 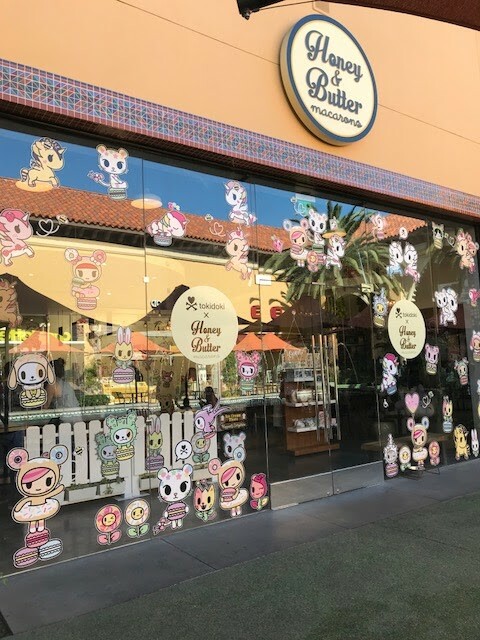 The right ones are their normal characters, the far left ones are Tokidoki. They charge more for special or bigger characters. They do have a rule that there's a limit on how many you get and they release them around noon. Don't be surprise that if they have a line out the door. You can see what they're rolling out on their Instagram. 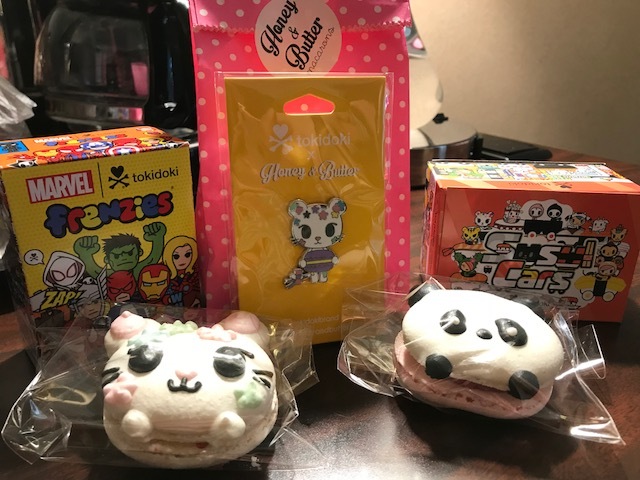 So, what did I get: of course macs, panda mac, and tokidoki mac, a Tokidoki pin, and other Tokidoki swag. It's a super fun place to be and wish they have one Texas, but that's good enough for me.